Photoshop is a powerful tool that can be used to create, edit, customize photos, artworks, and graphics. Designers tend to spend a lot of time using this tool so implementing photoshop add ons can help you work more efficiently and improve your overall workflow. If you are looking to convert your artwork or imagery into stylized graphics and are not sure about how to create it from scratch, then these actions can help you save a lot of time. 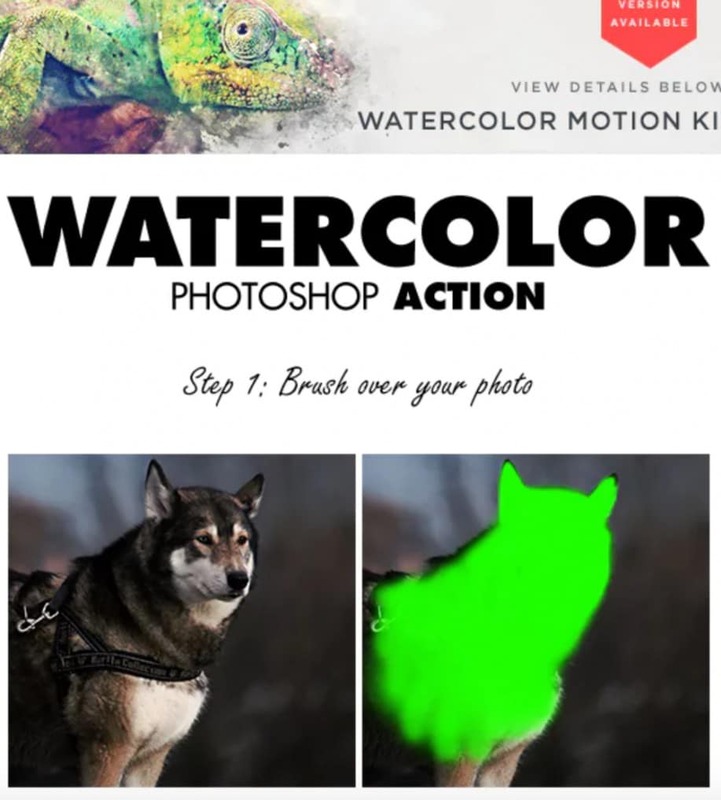 There are plenty of photoshop add-ons to choose from. Finding the right one that meets your projects needs can be time-consuming. We have put together a list of interesting effects and actions that can be applied to a wide variety of projects so you don’t have to spend countless hours on the internet. 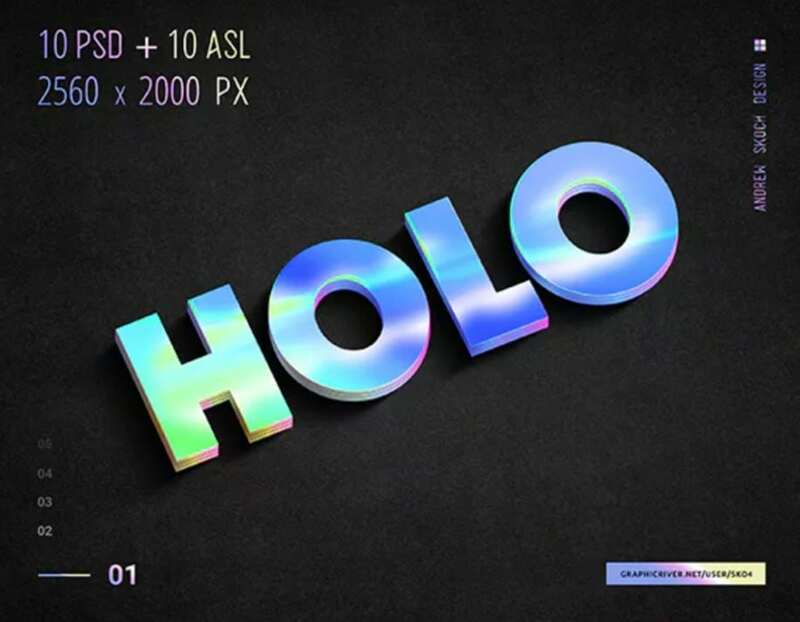 If you are looking to present your text in holographic shape or form, then try this add on. This comes with the following features – 10 different styles, 10 PSD files, smart objects, well-organized files that are fully editable. 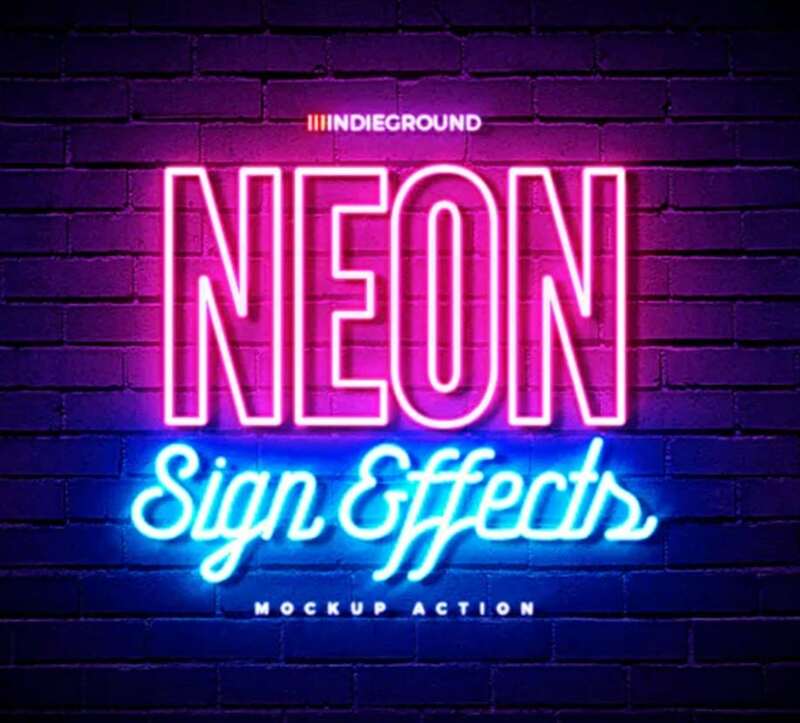 This add on helps you apply neon effects to your text, artwork or a logo. In order to use them, you will have to update the smart objects and click save. 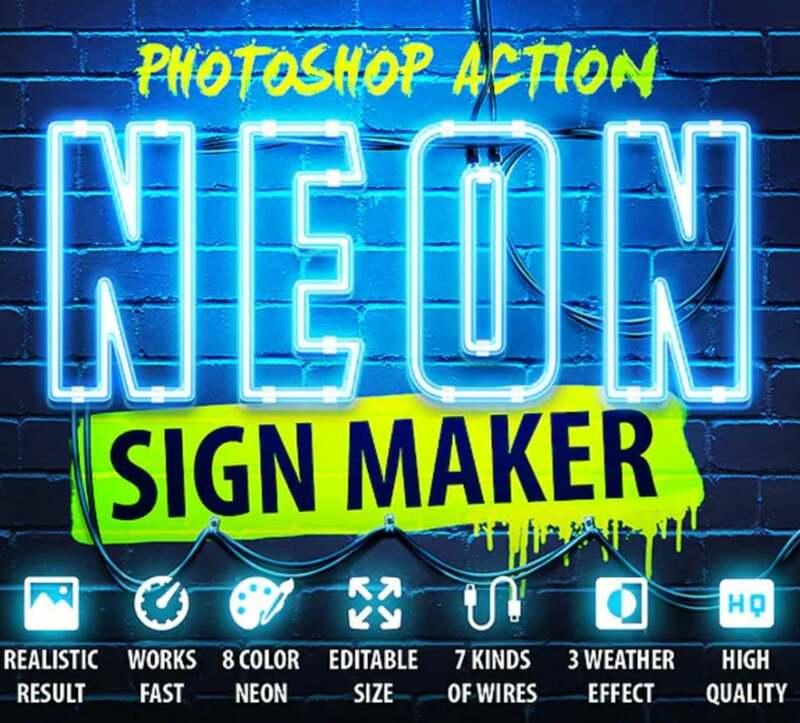 Inside this package you will find 9 PSD files, 1 Ai file, 1 Asl file, fully editable smart object files and 9 different pre-made neon signs. 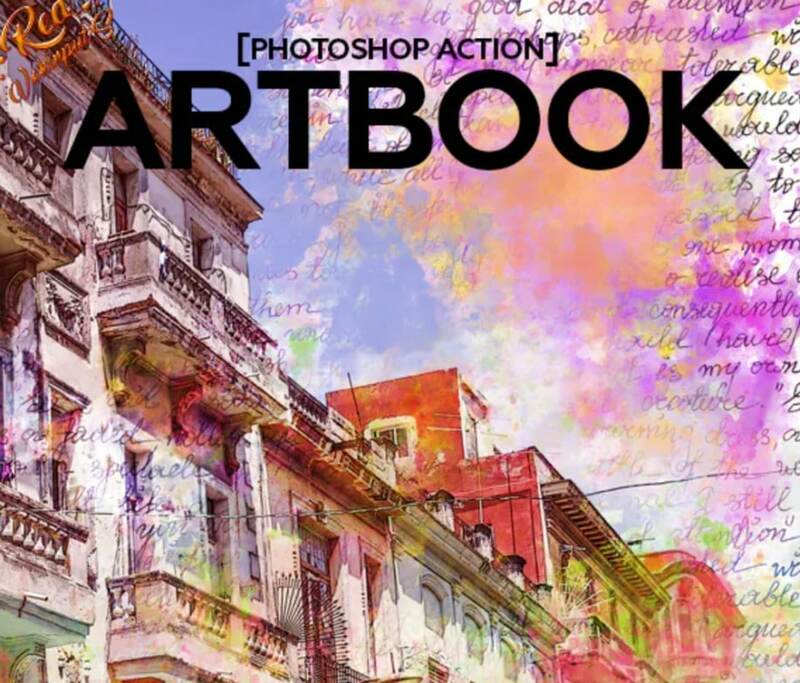 Looking to create watercolor artworks from your images? This action lets you do just that. This plugin gives you access to layered files to help you customize and edit the artwork in your own way. 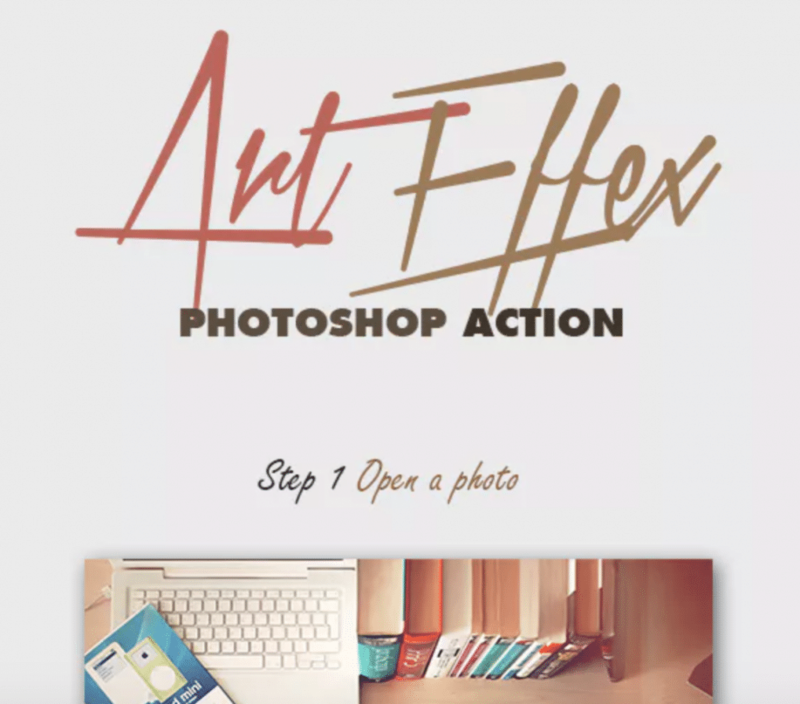 This action comes with its own video tutorial and the layered pages give you more creative control. This plugin lets you create realistic hand-drawn images. Paint over the areas that you want to use and press play. This comes with a video tutorial, so when in doubt just watch the tutorial and try again. 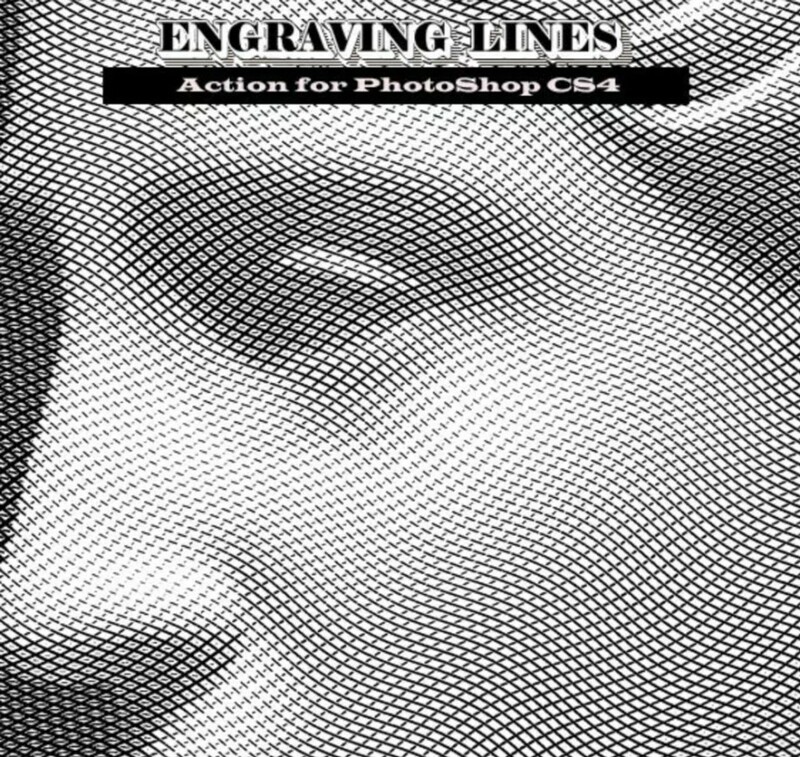 With this action, you are able to turn any image into an engraved artwork. It is flexible and easy to use. Appearance can be adjusted as needed. 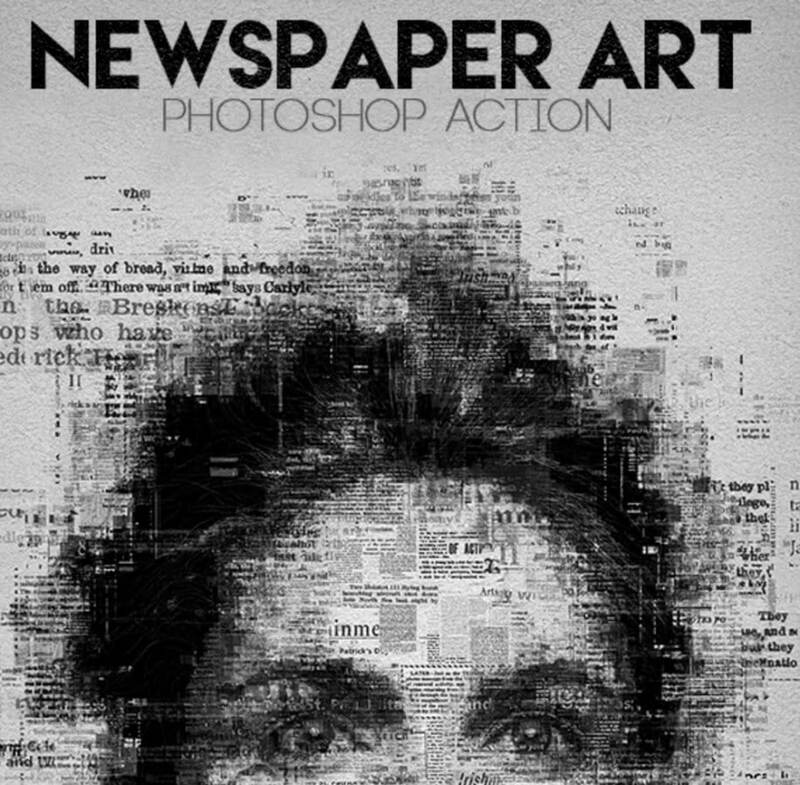 This action turns your image into letter forms. The overall effect is that of a newspaper journal. If you have any questions just head over to the help center and browse through the well documented FAQs and recommendations. You don’t have to have years of experience using this tool to reap the benefits of this action. Open your photo and click play button to see how your photos gets transformed into stylized artwork. Recommended photo resolution is 2500px-3500px and after each action is played the contents are moved into a well-organized structure. 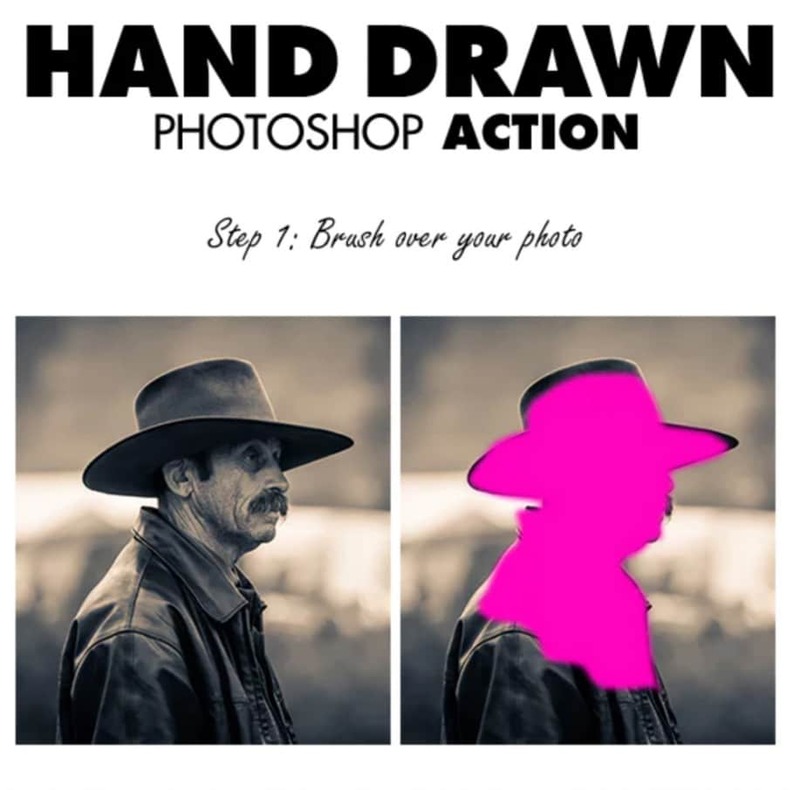 This action lets you to add colorful effects to your image or artwork. Open the image, play the first action and save. This will transform this image into a colorful graphic and the contents are structured into a well-organized layer that can be customized to improve the final result. You can apply this plugin to a text, shape or vector logo – this transforms your text into a 3D/retro image. 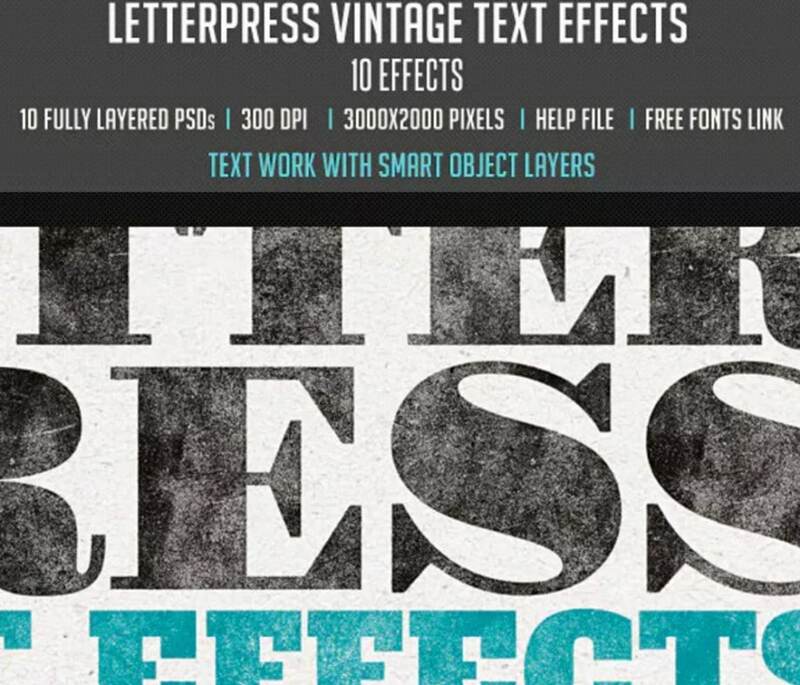 You can use this effect to any artwork that needs a faded retro look. Just replace the contents of the smart objects and turn them into a 3D/retro graphic. Some of the features that are included in this package are – 10 different styles and 10 PSD files that easily editable. 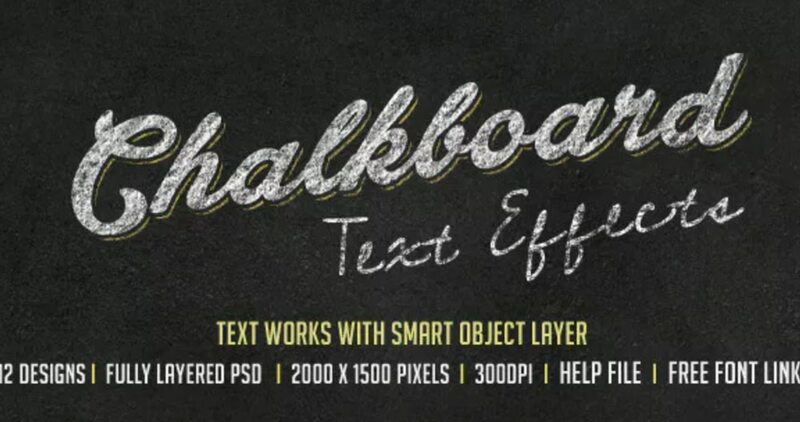 This package includes 12 chalkboard texts, 12 fully layered psd files, colors and patterns that are easily modifiable, free fonts and a help file. 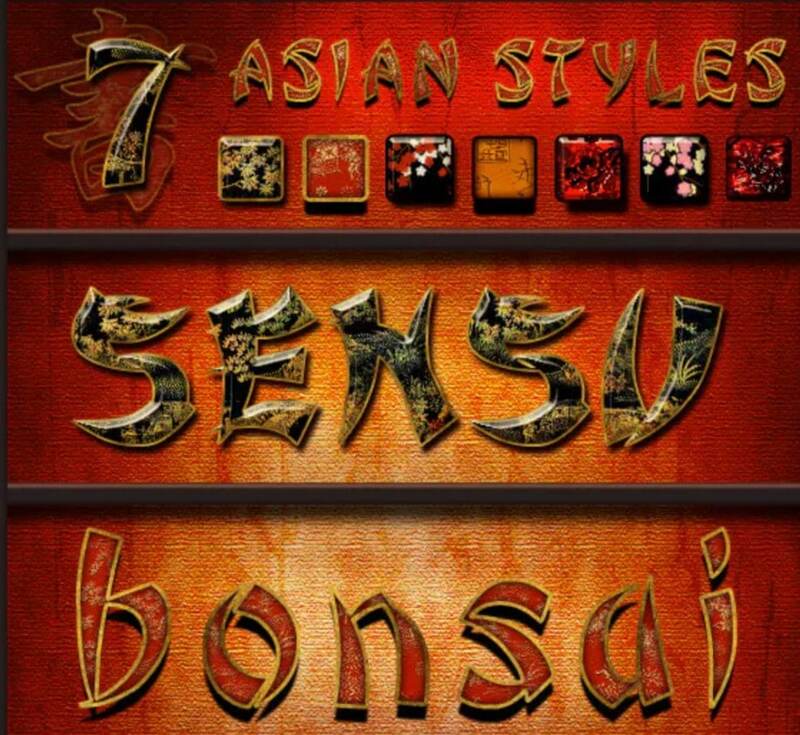 This package includes one .asl file 7 unique asian styles, 1 PSD editable file, and .pdf for instructions. This effects works well with texts, raster images and vector shapes. 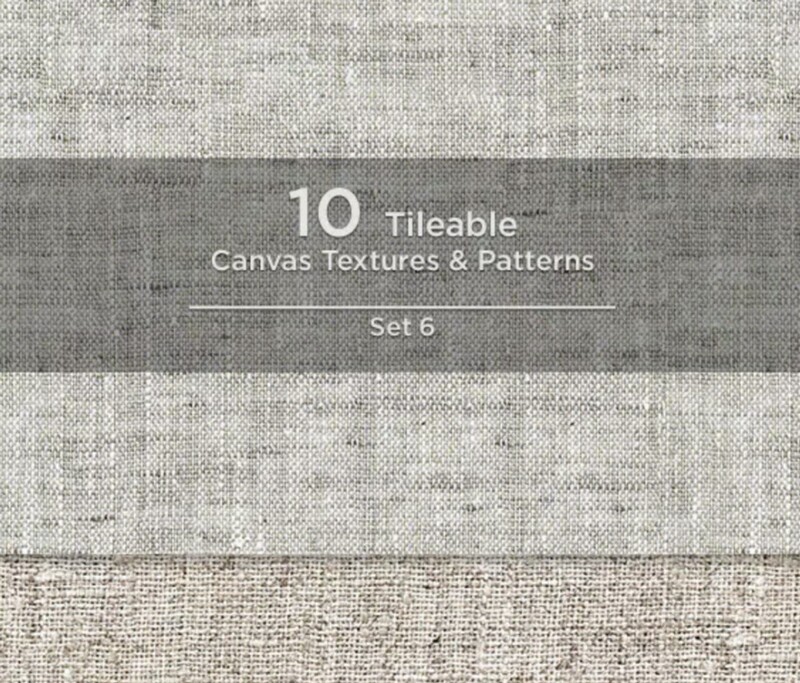 This pack comes with 20 tile-able canvas patterns – one .PAT file with patterns, 20 jpegs with tile-able canvas patterns and an instruction manual. Looking to create your own handwritten decorative fonts? 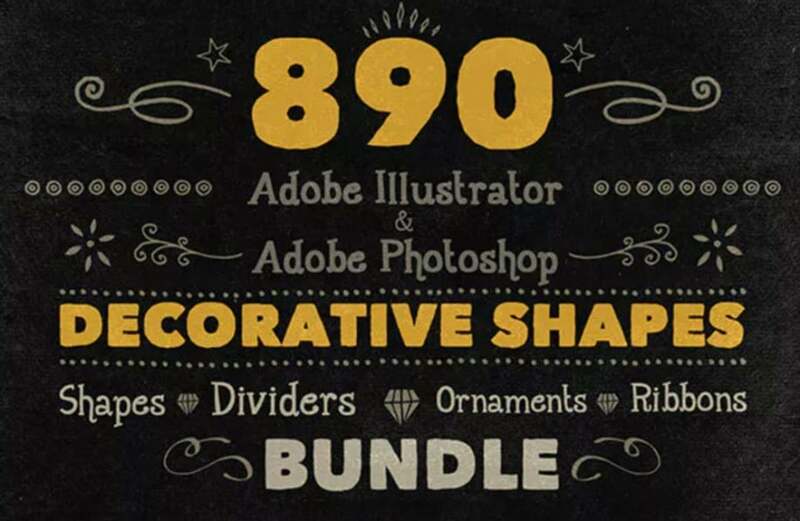 This pack comes with 890 decorative hand-written shapes and illustrator and photoshop. Some of the shapes that are included in this package are ribbons, dividers, ornaments and corners. 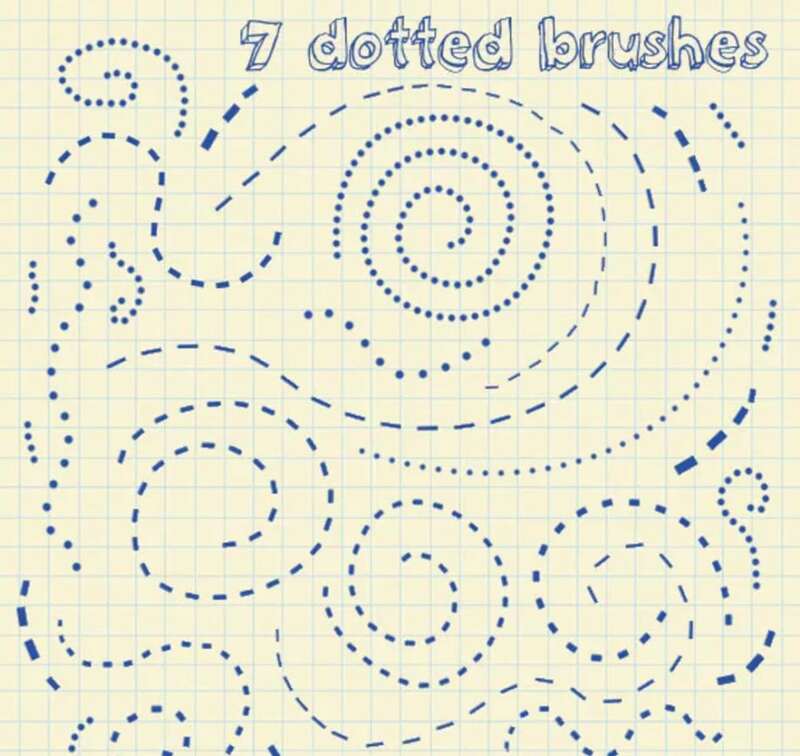 This pack includes 7 dotted line brush sets that have different lengths and intervals between them. These are a great choice for flow charts and other data visual representations. Apply neon effects to text, shapes or artwork using this plugin. Some of the notable features that are included in this package are – multilanguage action work, high-quality photorealistic result, works with any kind of layer, one-click export, 8 neon colors, 3 additional effects, 2 backgrounds, fast support, pdf tutorial, and video tutorial. Multilingual action work in Photoshop with any language UI. 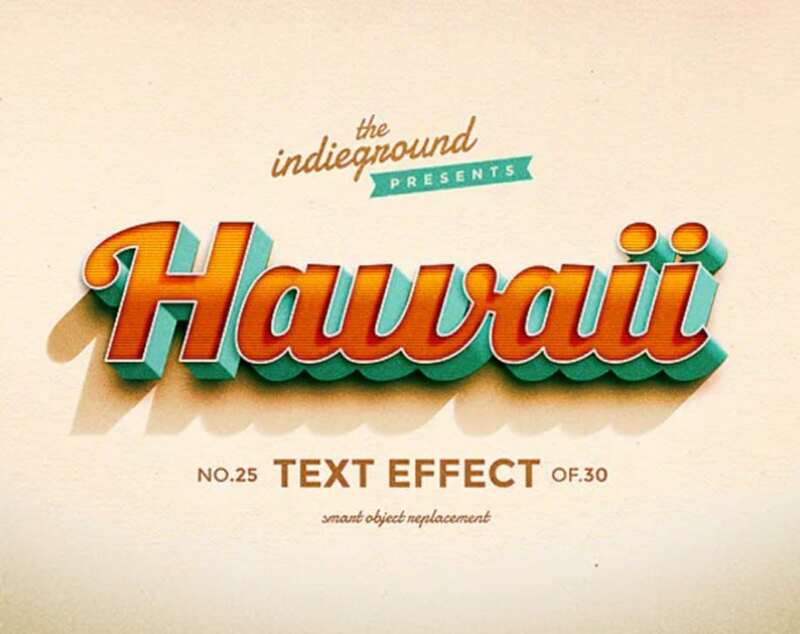 This effect can be applied to text, shapes or a vector logo. This package includes 10 fully layered PSD files, 10 unique effects, text works with smart object layers, 3 seamless paper textures and comes with a help file with free font file attachment. 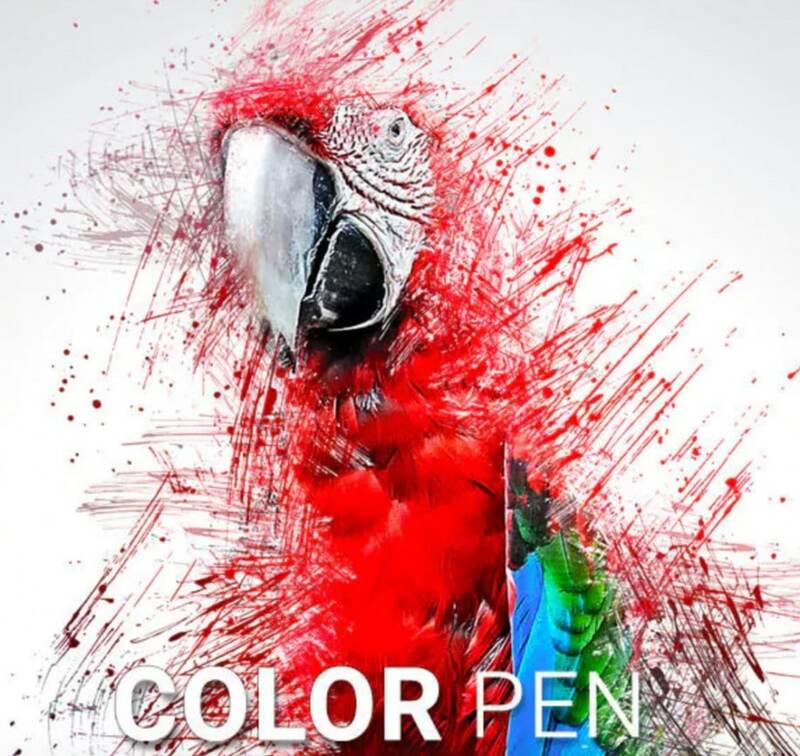 Turn your images into colored pen illustrations with the help of this plugin. This pack includes the action, brushes and the pattern file along with well-organized layers and instructions for the user. Looking to create some fun lettering styles for your next project? 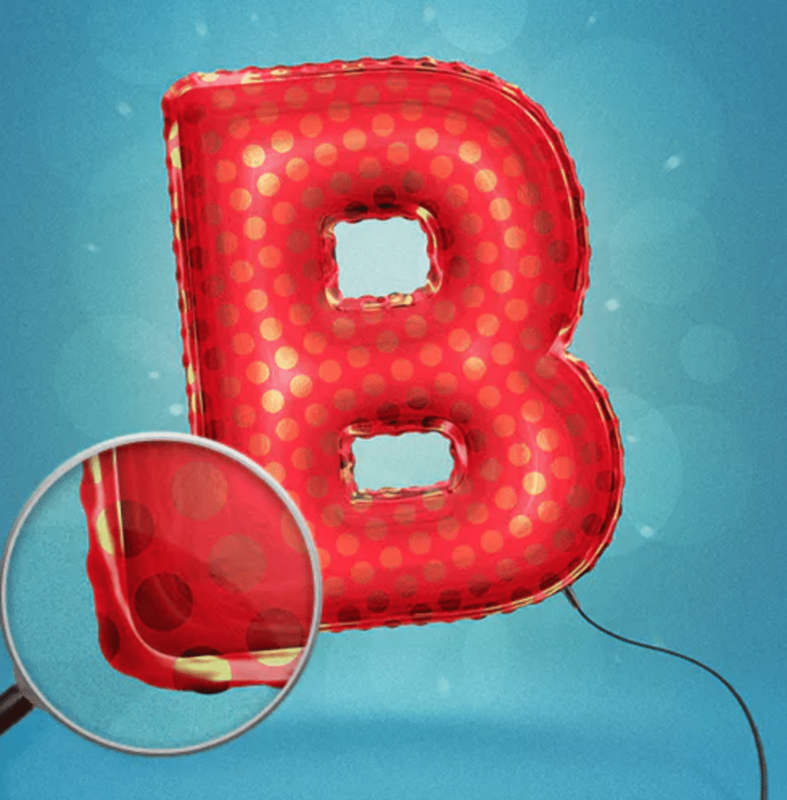 This plugin helps turn text, shapes, and artwork to inflatables. Some of the features that are included in this pack are – 1 Photoshop .atn file, 1 Photoshop .abr file, 1 Photoshop .psd file, and the help file. It is easy to use and comes with an unlimited choice of colors. Works well with any font or vector shape. The layers are well-organized, color-coded and organized in groups.